If it seems like Millennials talk about their hobbies incessantly to the point of exhaustion, then it might be due to the fact that “Millennials have a greater range of activities they are passionate about than those over 35” (Millennial Marketing). With the likelihood of Millennials being actively involved in more hobbies than the average person, it’s plausible that, among time dedicated to coed sports teams and artistic endeavors, there are some rather unique and frankly quite strange hobbies in a typical Millennial’s daily schedule that Corporate America should be aware of. Since Millennials love sharing everything, it’s a match made in heaven for them to dive into the art of storytelling. The majority of Millennials do so through social media or blogging. In fact, Millennials are some of the best storytellers because they understand how to cater to their audience. “On each platform, they know what the message or story is that they want to communicate, and the best ways to do so,” which causes them to reach a wider audience than the average person (Social Media Week). Aside from social media, more and more Millennials are attempting the art of storytelling by going on stage to reveal true, unflattering scenes of their lives to complete strangers. Walk into a MOTH storytelling event in Los Angeles or any big city in the United States, and the crowd largely consists of people in the 21-35 age range. Millennials even engage in storytelling through competitive punning, a hobby that’s popular in Brooklyn, New York, where the Punderdome 3000 competition is held once a month. Economic takeaway: Companies that implement storytelling in their advertisements are more likely to engage Millennials. Online shopping isn’t weird, but it can be when Millennials spend hours on the couch adding miscellaneous products to their cart with no intention of purchasing anything. 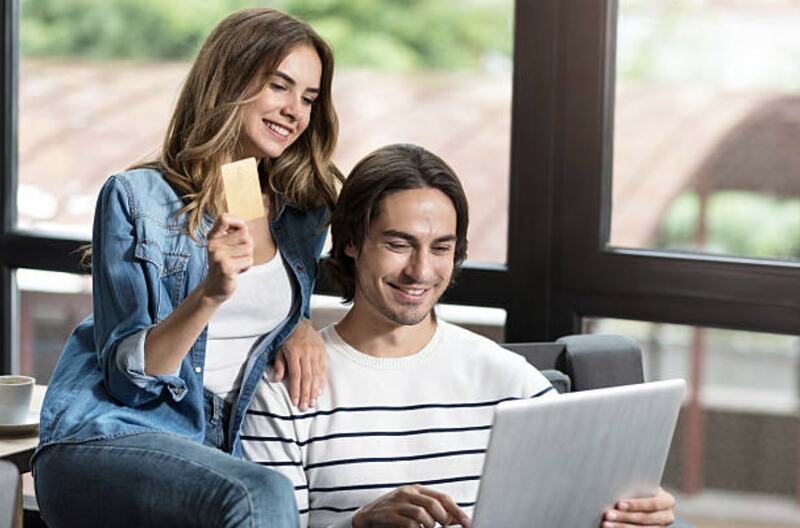 Although Millennials engage in that peculiar hobby from time to time due their thrifty money-saving endeavors, Millennials are still a key demographic to target for online retailers. Tom McGee, Forbes Magazine contributor, explains that “Millennials have grown up and matured with mobile technology and expect to be able to use it in every aspect of their life” (Forbes). Companies that implement the use of mobile technology, “such as Starbucks are winning over millennial consumers with their mobile wallets – apps developed by stores which make it easier for customers to pay while delivering additional perks such as discounts or free drinks” (Forbes). And when retailers don’t offer perks through mobile apps, it doesn’t make much sense in the millennial mind to take a shower, get dressed, and drive down the block to a physical store when Amazon Prime can easily connect us to necessary products through the light command of a fingertip. Plus, there’s the added benefit of being able to browse freely without a salesperson breathing down one’s neck asking, ‘Do you need any help?’ And how else will Millennials find those vintage clothes and records that make them unique and stand out from everyone else? Economic takeaway: Retailers that have an online and mobile presence are more likely to reach millennial consumers. Plopping on the couch while munching on popcorn and devouring hours upon hours of prime Hollywood entertainment has become quite the norm for Millennials. Streaming services, such as Netflix and Hulu, are more accessible to Millennials because they are vastly cheaper than regular cable, and they allow Millennials to watch their favorite shows anywhere. In their 2016 quarter four report, Netflix outlines that they had 93.8 million subscribers, and their 2017 quarter 1 report claims to have added 5 million more. Their growing customer-base surely stems from millennial demand and influence. Kevin Westcott, U.S. media and entertainment consulting leader, says that Millennials “‘value streaming more than TV, and when they do watch TV they are doing an average of four other things at a time’” (Variety). Binging TV shows is not only a way for Millennials to unwind at the end of the day, but it also mostly serves as background noise for the busy Millennial who is occupied with multi-tasking on fulfilling different responsibilities. And for Millennials who are actually fully tuned in, netflix binging as a hobby provides them with an opportunity to turn off their brains after endless hours of excessive problem-solving for school or work. Economic takeaway: Companies can effectively reach more Millennials by making deals with Netflix for product placement in Netflix originals. Millennials are constantly told that they need to make a name for themselves, or in other words, fake it till they make it. Branding themselves through social media and creating an online presence is a hobby that a lot of Millennials do out of necessity. Daniell Miguel, from the Berkeley Haas School of Business, reveals that “With 78% of millennials found to be tech savvy and 70% of them identifying as social media opportunists, it becomes evident that they have invested their efforts into making a name for themselves in a culture that stresses the hype of the start-up and marketing app” (Berkeley Haas School of Business). Social media is now less of a platform for keeping in touch with friends and family, and has become a career move for Millennials, who are “self-branding, where names are promoted, relationships are made, and networks and communities are built” (Berkeley Haas School of Business). Millennials are focused on accomplishing career-oriented goals, like getting a job for instance, and making a name for themselves through social media branding is a hobby that will help them achieve just that. Economic takeaway: Companies should hire more Millennials if they are in need of tech-savvy individuals or effective marketing services to improve their business. Millennials love all things related to the internet, and memes, popular pictures or short video clips with phrases attached to them, fly to the top of the list of reasons why Millennials would rather not shut off their screens. Meme battling, which consists of trying to best one’s friends in an effort to send each other the funniest memes, in group chats is a hobby that absolutely enthralls Millennials. A millennial author writes in The Sunday Times how she sends “more memes in a day than…emails” (The Sunday Times). So what is the millennial fascination behind memes? While there is not much information about memes directly, it’s easy to understand the purpose of a meme. A meme conveys an idea or feeling that most people can identify with. Millennials enjoy identifying and relating to people, so it’s no wonder that they’re going to war with memes with the purpose of trying to make each other laugh. No one can fault Millennials for engaging in simple distractors as hobbies, such as meme battling. It only serves to lighten Millennials’ moods for the day and alleviate a little stress. Economic takeaway: Companies can influence millennial consumers by relating to them through memes. Millennials have recently spawned the trendy hobby of Insta-exploring to life. Before deciding to travel, go to a restaurant, or just out for the day, Millennials consider, consciously or subconsciously, whether or not the location is Instagram-worthy. Companies and cities have caught on quickly to this favorite millennial hobby. In fact, cities like Venice Beach, where a self-guided walking tour of their murals is promoted, and Kampung Pelangi (a.ka. The rainbow village) welcome colorful and unique street art because it attracts Millennials and brings business to their communities. Insta-exploring is fun for Millennials because it appeals to their sense of adventure and discovery and allows them to share their experiences with others. Economic takeaway: Companies that sponsor or stage Insta-worthy events are more likely to attract millennial consumers. With all generations, not every hobby they engage in is necessarily positive, and mainstream shaming seems to be a hobby that highlights a major fault in Millennials. Millennials crave the notion of being unique. As a result, they often, without realizing it, look down on others for genuinely liking popular trends. “Millennials tend to want to be treated as unique,” says Voss, chairman of the Association of the Luxembourg Fund Industry. “What they are used to and want is information tailored to their circumstances and tastes.” (Funds Europe). Perhaps, Millennials engage in mainstream shaming because there’s not enough information in society that caters to their tastes and experiences. Whether or not that’s the issue, Millennials who lead a double life as internet trolls should probably still relax a bit on this strange hobby of shaming people for liking popular trends in society. Economic takeaway: Companies should promote relatable products or services as highly unique and different from the norm to bring in millennial consumers. Millennials get stressed out easily, which is completely understandable considering the impending doom of climate change, the fear of being persecuted or shot at any given time based on minority stereotypes, and the reality that every entry-level job requires three to five years of experience. As a result, coloring books with spiritual, wavy, patterns have become increasingly popular among Millennials. There are even free coloring apps for adults now. Coloring is an activity that is said can alleviate stress. According to Medical Daily, art therapy is “helpful among people dealing with a variety of…conditions, such as depression, dementia, anxiety, and PTSD” (Medical Daily). And because coloring has become mobile-accessible, it’s a millennial hobby that’s not going away anytime soon. Economic takeaway: Companies should create or market products and events as soothing, relaxing, and stress-free to target the millennial mind. Product testing is a hobby that Millennials regularly participate in because it’s a way of earning extra cash. For example, Danielle Bernstein, Instagram blogger of @weworewhat, “sets her range for the cost of a single piece of sponsored content (i.e. one Instagram shot) from $5,000 to $15,000” (Harpers Bazaar). And if Millennials have a decent following on social media, then companies will contact them and send free products in exchange for free advertising. “Plenty of products [are] sent out gratis to bloggers with fingers crossed that they’ll throw a picture of themselves online using it,” which could drive millennial interest in the company to increase. (Harpers Bazaar). Because this information is well-known, a lot of Millennials attempt to live their lives on social media, building a brand around a specific area of interest, in order to gain free products from companies. Millennials even enjoy testing out new products, and see the task not as a job but as a fun pastime. Economic takeaway: Companies should use Millennials to relate to millennial consumers and increase brand promotion. Millennials spend a lot of their free time searching for non-traditional ways to make money, and one way they strive to do that is by writing fake, online reviews for companies. “According to New York Attorney General Eric T. Schneiderman, a business owner typically pays freelance writers $1 to $10 for each phony review” on Yelp and other popular websites (Quickbooks). However, “in 2009, the FTC banned undisclosed paid endorsements, making this practice illegal” (Quickbooks). Fast and easy money schemes may be an intriguing pastime for millennials, but they should be wary of engaging in them lest they get caught in the legal crossfire. Economic takeaway: Companies should avoid soliciting fake reviews and instead target millennials for feedback who have visible proof on social media of experience with the company’s products or services. Above all, Millennials engage in these odd hobbies because they would rather “be defined by their passions, not their career” (Millennial Marketing), even if their passions are a bit non-traditional. If Corporate America seeks to reach a wider millennial audience, then they need to relate to Millennials in a more personal manner. Millennials are now the largest generation in the workforce (See: 7 Formalities Millennials Forgo in the Workplace), which means they have the majority buying power. So, how fast can Corporate America catch up to millennial demand?